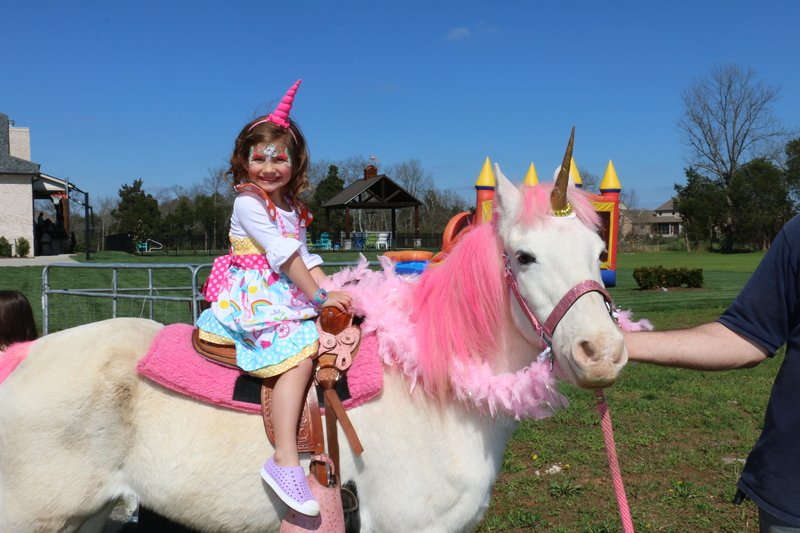 Pony rides, pony pictures, petting zoos, animal exhibits, animal education, pony parties, live pony carousels, princess parties and inflatables. My Daughter Had The Best 1st Birthday Ever! The guy did an amazing job. He did his job very well. He also memorized all of the kids' names, even I didn't know everybody's names! 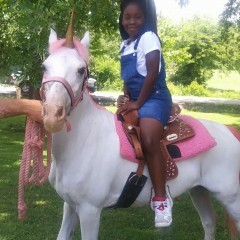 lol The Pony/Unicorn was so beautiful. Everyone had an amazing time. 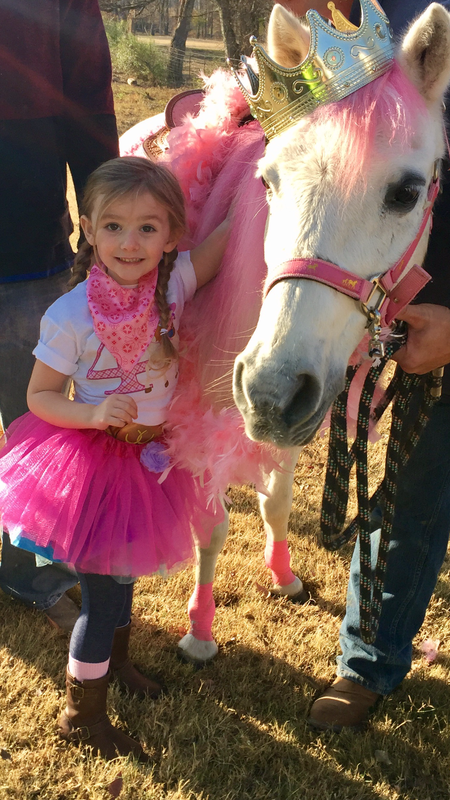 This was our third year hiring Pony Pals for our annual fall event. 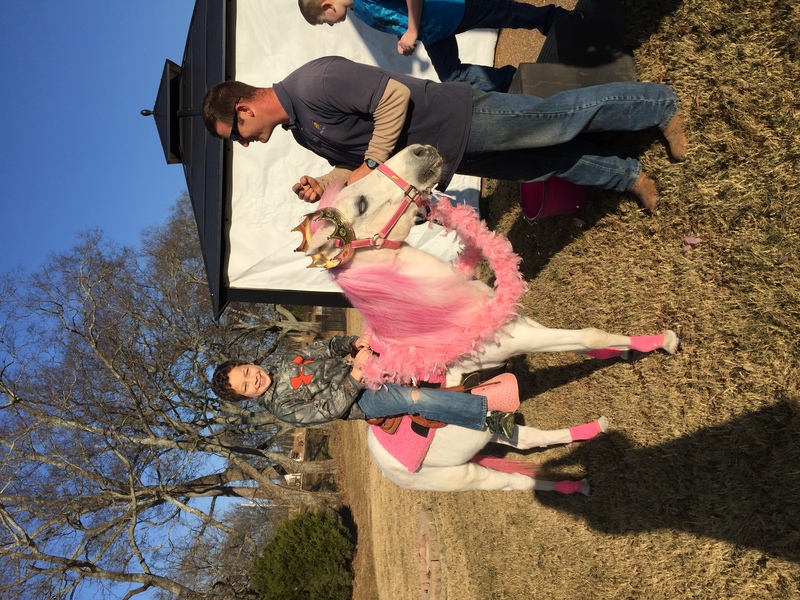 As always, the ponies and petting zoo were a hit! 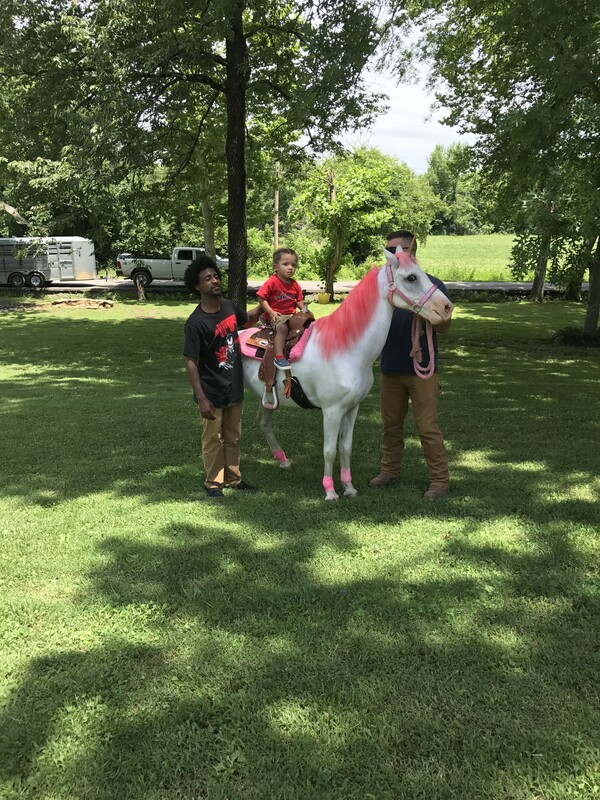 The kids LOVE seeing the animals, especially the sweet little pony with the pink mane. It is very apparent the animals are well loved and cared for, therefore they are great with people. The Pony Pals staff team is great! Everyone is friendly and informative. I cannot stress how pleased we are with Pony Pals each year. We look forward to having them back next year! Our school was over joyed!!! 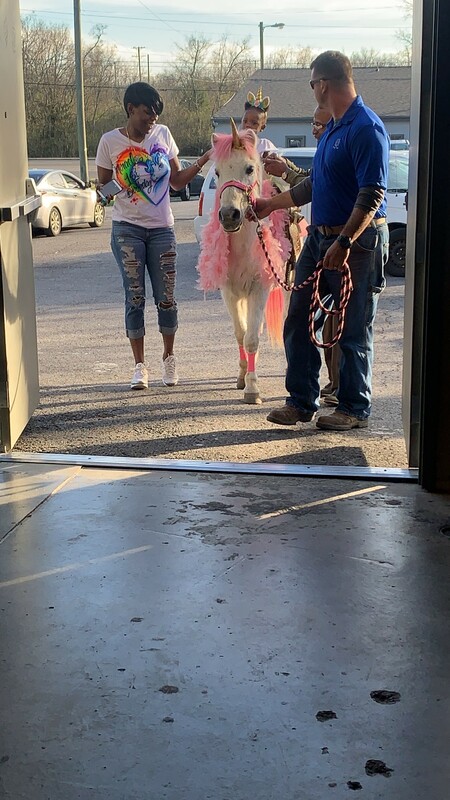 Pony Pals went above and beyond in making my daughter’s birthday party special. Not only were the ponies beautiful and lots of fun but they were obviously well cared for and seemed to enjoy interacting with the children. The setup was professional and worry free; this vendor went out of their way to accommodate all of our requests and truly made the experience memorable for all of our party guests! 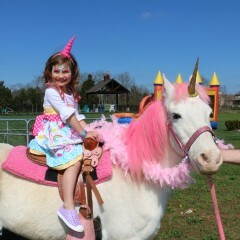 The Unicorn was Beautiful & a huge hit at the party!!! Everyone loved how Frank was really good with children!!! 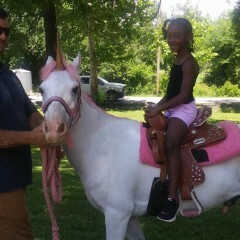 The kids were so sad to see Casper go but we will definitely recommend & use Pony Pals again!!! Thank you so much for sharing your special day with us! 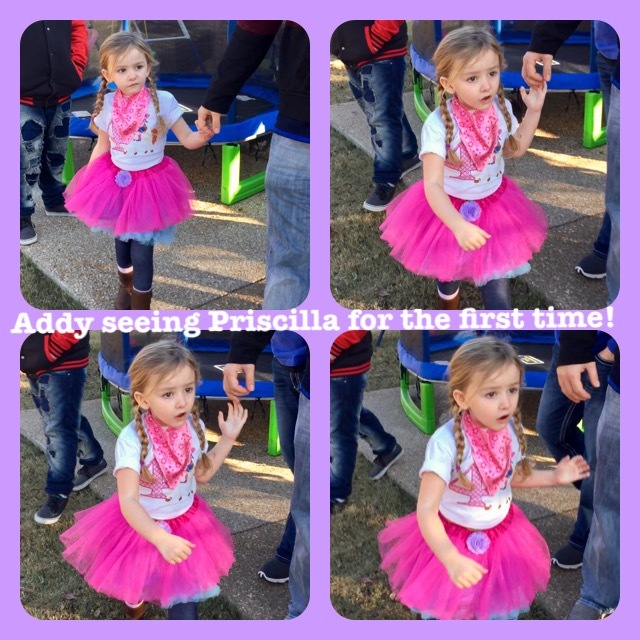 The kids loved every part of it! Awesome party! 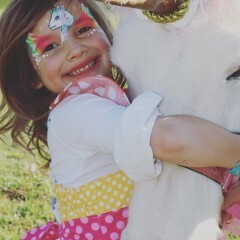 My daughters absolutely loved the petting zoo and unicorn pony rides! The unicorn was amazing! They were timely, awesome with kids, safe and did great job cleaning up after the event was over. Surpassed all expectations!!! Would highly recommend! Great service! Very friendly ! Kids loved it! I have never received such gracious and selfless hospitality as I received at our party. 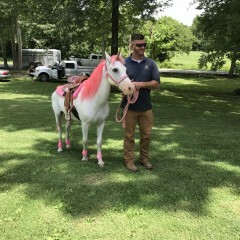 The pony was exactly as promised and the handler was A TRUE gentlemen. Truly A+!!!!! Wonderful with children of ALL ages!! 2nd year in a row we have used Pony Pals. They are always excellent and professional. Pony Pals Party Ponies was great to work with. 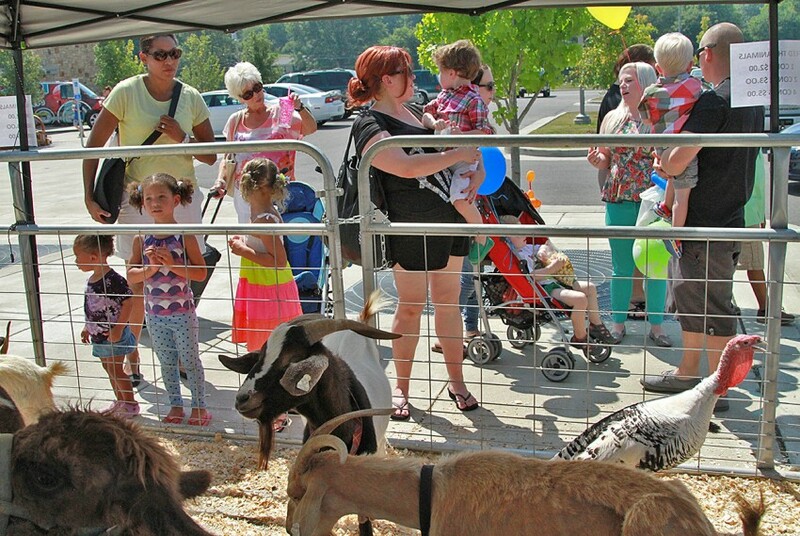 The petting zoo was for a community event with about 300 children in a free "Kidz Zone" play area. 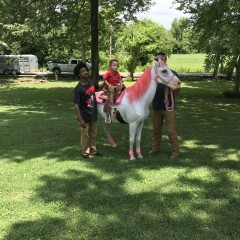 Pony Pals was very professional and the kids had a great time! Pony pals was wonderful! Thank you! It was an amazing experience for the kiddos this year! Owners were very friendly and endured the heat with smiles☺I would definitely book again..worth every penny! Absolutely loved this! I would reccomend them to anyone! My daughter loved it! First of all the names for the animals were great! Wish I booked all day, I wouldn't have had to waste time mowing my lawn, we got a nice even cut from Booger the goat! Staff was great, on time, animals were awesome, we'll stocked with kibble, knowledgeable on all the answers to our many questions, clean up fast. Highly recommended this group! Price was fair, transaction was smooth. We were overly satisfied with the team at Pony Pals Party Ponies. We will defiantly be doing business with them again. Professional, excellent!!! 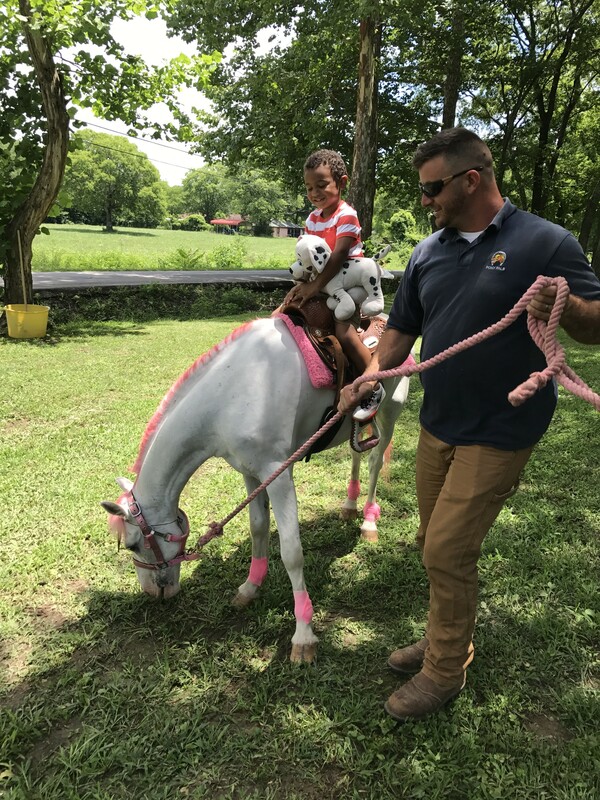 This is the 4th time we have used the Pony Pals for private parties at Smiley Hollow and I can not say enough about the clean & well behaved pony's and the willingness of the operators to please every one of the children riding. 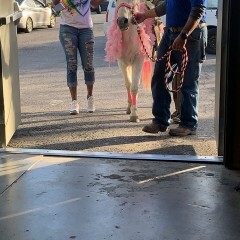 We had the Pony Pals come out for a birthday for our 2 year old daughter and 5 year old son. We had a range of ages from baby to 11 year olds and everyone loved it! 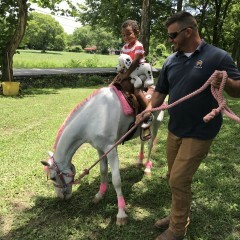 They brought out a calf,llama, goats, sheep and a pony for rides. The animals were all clean,friendly, and let the kids pet them. The gentleman who came out with them was wonderful too. Very personable and very good with the kids-talked to all of them. They set up everything and cleaned up too. I Would use them again and already referred them to a friend. This pony business is the best! I have known Mrs.Heather for several years now. She bought some ponies from my mom and i. I have to say i am SO thankful they live with her. Its so nice that she takes wonderful care of her animals. This is the BEST pony business will ever find!!! 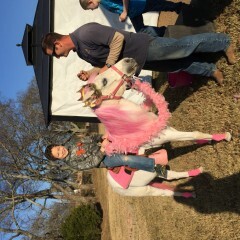 Pony pals did my daughters 10th birthday party and it was a great hit. 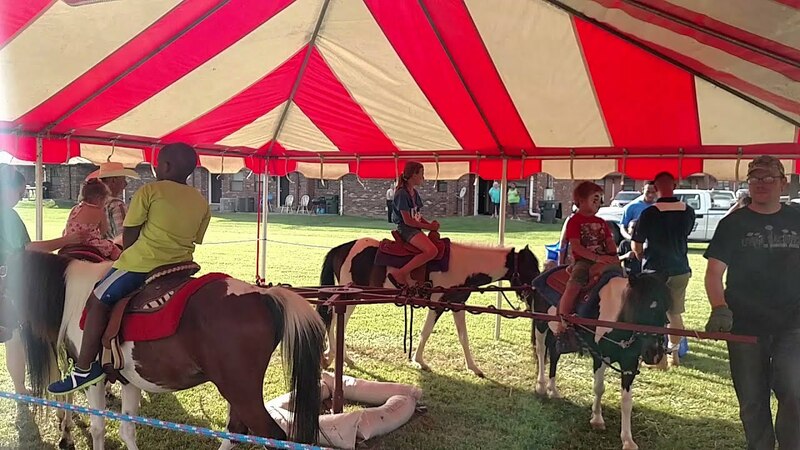 Live Pony Carousel - We can do pony carousels from 3-6 ponies. Carousel takes up a 20 x 20 space. It does include a tent for shade for the ponies. 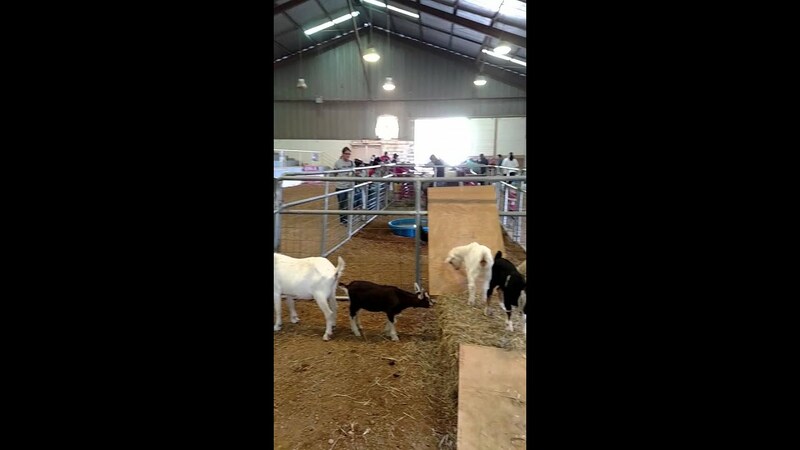 Petting Zoo - The small petting zoo takes up a 10 x 10 area and our large petting zoo takes up a 20 x 10 area. All of our animals are extremely friendly and well kept. 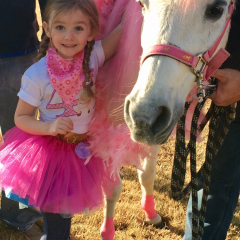 Pony Parties - Pony Pals can bring any number of ponies for any length of time. 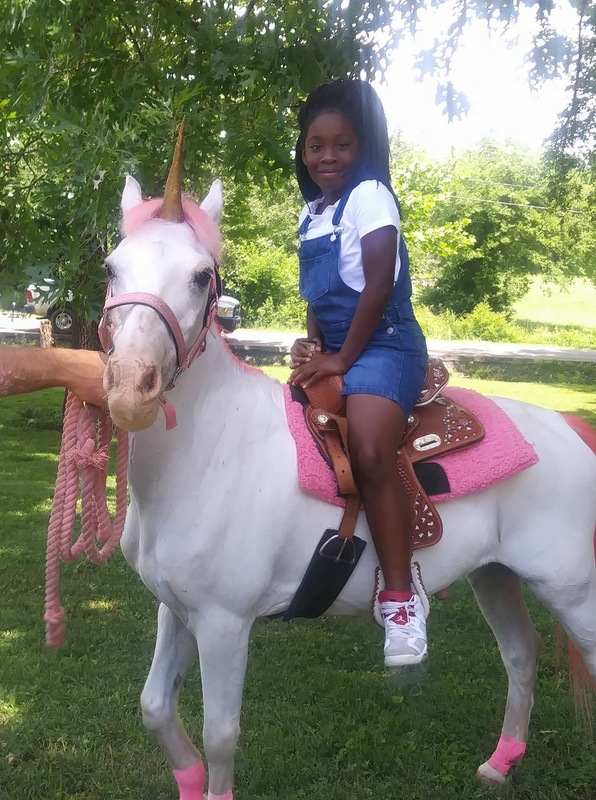 Ponies range in sizes all the way from 40 inches to actual horses. 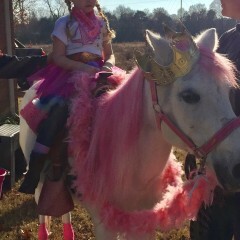 We can also do theme events and add costumes to the ponies. Insurance - We carry a million dollars in insurance and can additionally insure any event for a small fee. 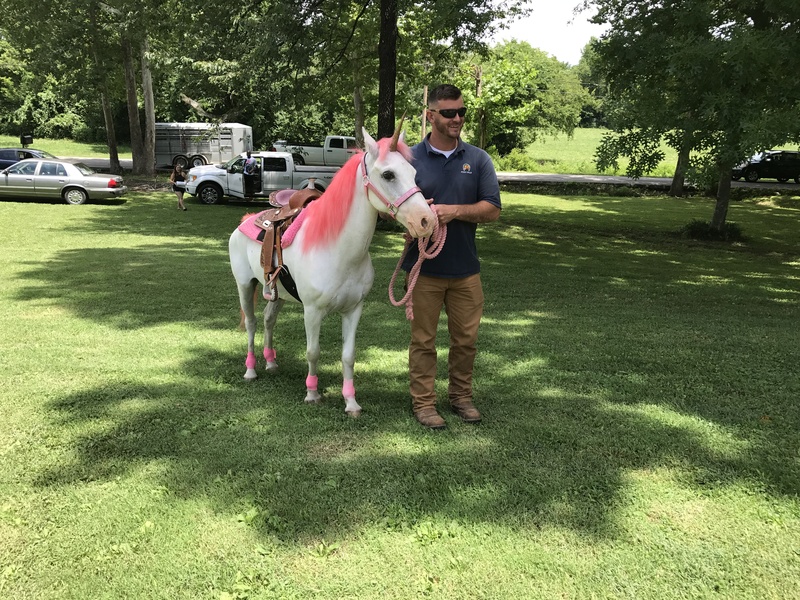 Pony Pals Party Ponies is an animal events company located in Clarksville, TN. 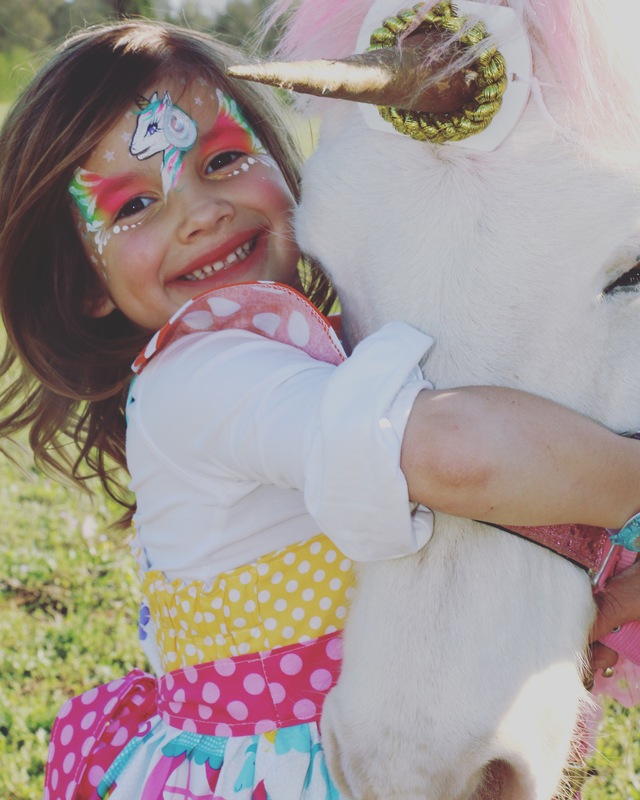 We have live pony carousels and petting zoos. We are your one stop place for all animal events. Our ponies are the best around! My name is Heather Laudano, and I have a complete professional background in the equine industry. I am a graduate of Murray State University with a double major in animal/equine science. I have worked as an extension agent and riding instructor for years. I opened Pony Pals three years ago to promote my riding academy and have found a deep passion for running an animal events company. My business is centered around safety, expertise, and education. 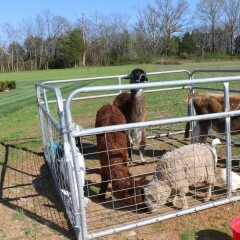 My petting zoo includes, alpacas, llamas, donkeys, a calf, a miniature horse, chickens, ducks, goats, sheep and a turkey. 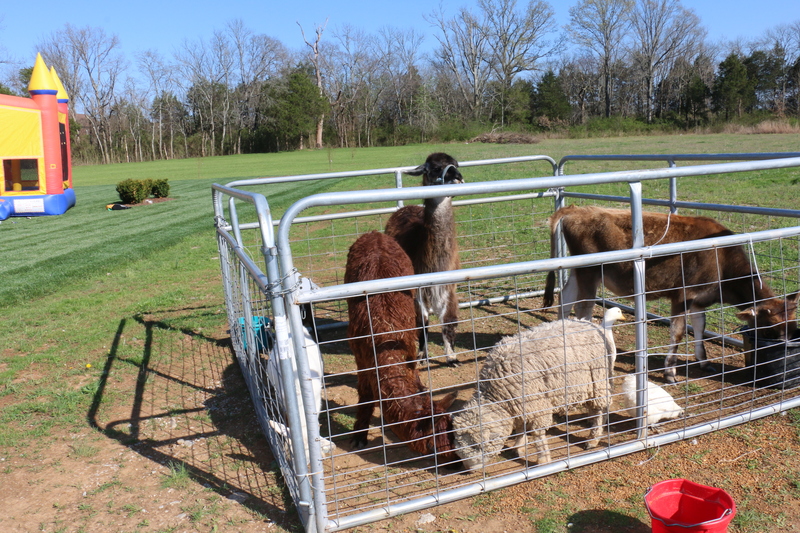 We offer both petting zoos and live animal education exhibits. 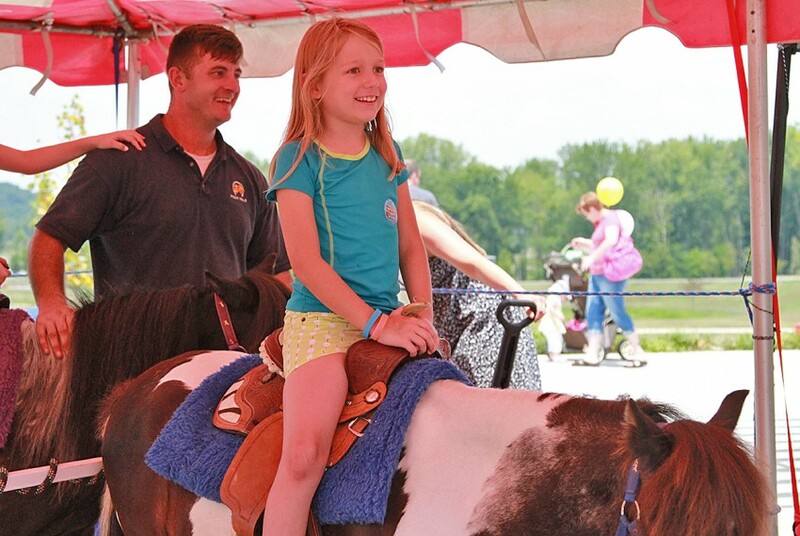 Pony Pals is looking for events ranging from birthday parties all the way to state fairs. We have several employee teams and have the ability to accommodate multiple event bookings every weekend. 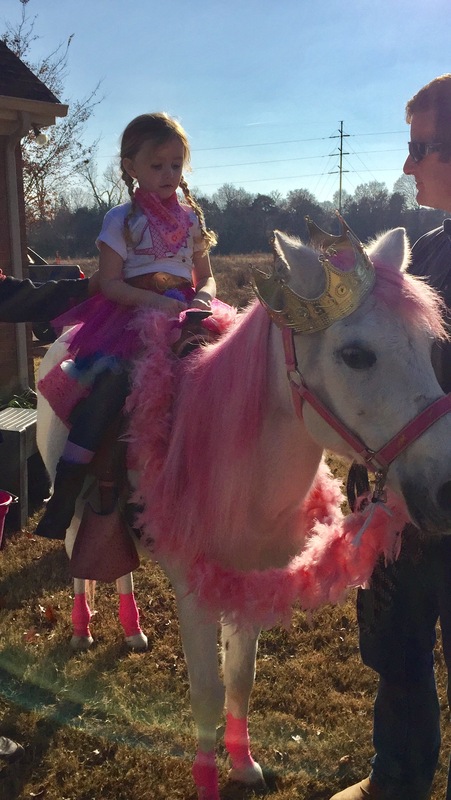 Ponies have a 100 lb weight limit (unless a horse is requested.) 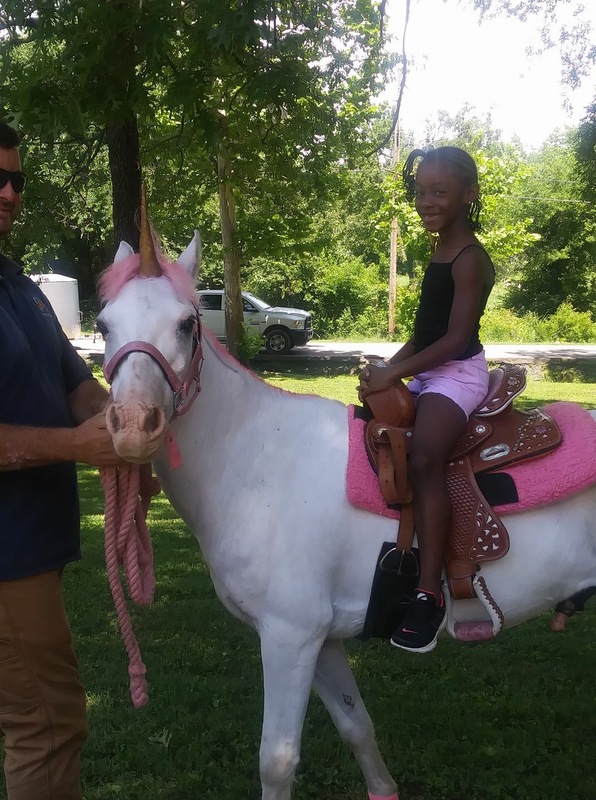 All riders must sign a Hold Harmless Equine Liability Waiver. I have had a love for animals since the day that I was born. What we offer is what I call, "Old School Fun." It's an opportunity for parents to share their childhood experiences with their children. It is also a wonderful opportunity for children to get first time experiences in both equine and animal related events. My biggest inspiration every day are the thank you smiles that we get from the children at every event. It makes both me and my team extremely passionate in what we do!